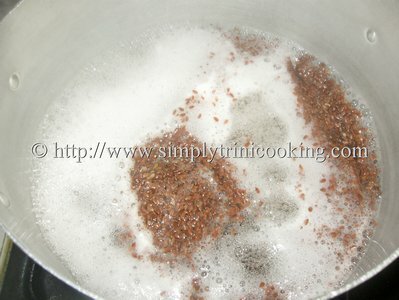 Today, I have another a fabulous tasting punch that is beneficial for the whole family, Linseed Punch. 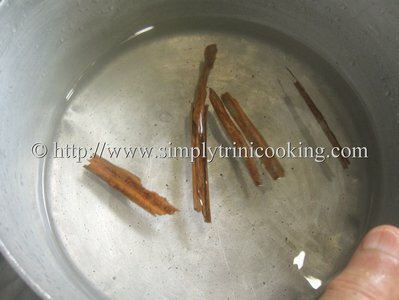 Linseed punch is a popular punch in Trinidad and Tobago; unfortunately, it is mostly known as a “back-strengthening” punch. 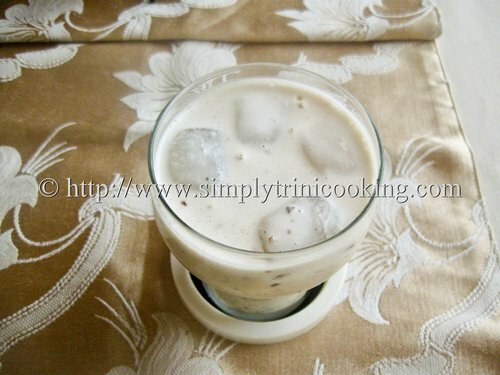 However, this tasty, smooth, slightly nutty drink has a lot more benefits than meets the eye. Linseed or flax seed derives from the flax plant which belongs to the plant family Linaceae. The flax plant has the most beautiful pale blue flowers. Its tiny fruits contains the glossy brown seeds we know as flax seed. The flax plant is a multipurpose plant: its fibers are used to make “fabric, dye, paper, medicines, fishing nets, hair gels, and soap” (Wikipedia); the seeds are used to make linseed oil and used in baking products and recipes, such as this one, to make drinks (look forward for more recipes using linseed / flaxseed). Their are two types of linseed/flaxseed: brown or golden (yellow) linseed; the brown linseed is more common and used in cooking. The main nutritional content of linseed is omega-3 fatty acid; it also contains: high levels of dietary fiber, iron, protein and unsaturated fat. 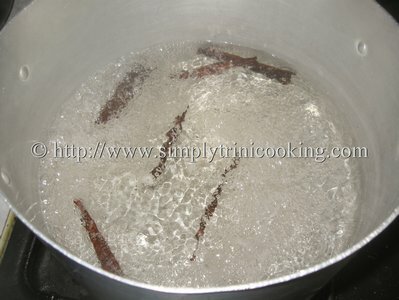 It is also a good source of magnesium, phosphorus and copper. 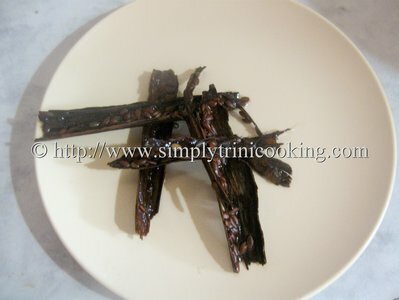 It has antioxidant and anti-inflamatory properties as well. These nutritional properties are better accessed by the body when you consume linseed in the form of a meal. Including this flaxseed in your diet or beauty regime can bring about a number of benefits; generally improve digestion and aid hormone balance. Here are more health benefits that can be derived. Linseed/Flax seed: lowers cholesterol levels, decreases the the probability of blood clots in the arteries (clots in arteries can lead to stroke or heart diseases), lowers high blood pressure, treats and prevent arthritis, relieves asthma, relieves Premenstrual symptoms, relieves symptoms of menopause, prevent oesteoporosis, decreases allergic responses, helps the kidney remove excess sodium and water, improves digestion, and strengthens the immune system. Most people who consume linseed/flaxseed notice improvement in the texture and quality of their skin and a remarkable increase in energy. 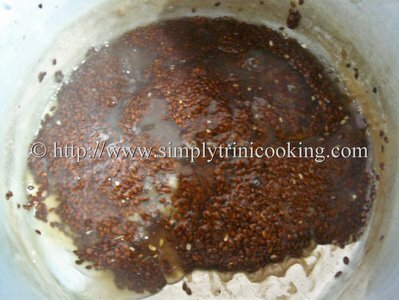 So go ahead and include flaxseed in your breads, porridge, cereals, and smoothies. The recommended amount to include in your daily meals is 2-4 tablespoons of linseed/flaxseed. (However, don’t forget to drink an extra glass of water when you eat linseed / flaxseed). In this recipe, the linseed is blended in the punch; this gave the punch a surprisingly pleasant nutty flavour. 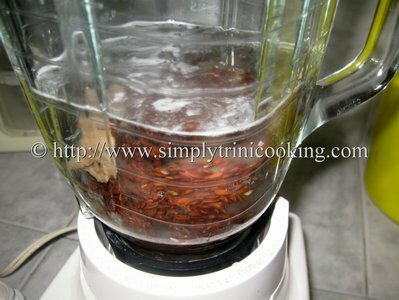 Be sure to blend the seed well so you can gain as much nutritional benefit from the product. Also, keep the punch refrigerated before serving or serve with ice. Pregnant or breastfeeding women should not consume large amounts of linseed or flaxseed. Possible signs of a deficiency in omega-3 in your body include: dry skin and hair, dandruff, rough bumps at the back of the arms, soft or brittle nails, menstrual cramps and premenstrual breast tendencies. 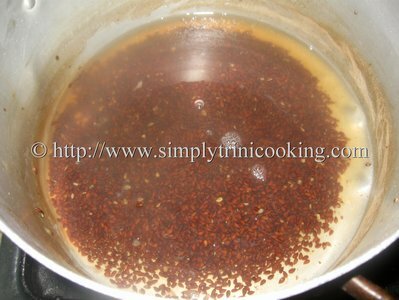 Without further ado here’s Linseed Punch….drink up and fight cholesterol and high blood pressure. Enjoy. * I didn’t have any milk at hand. 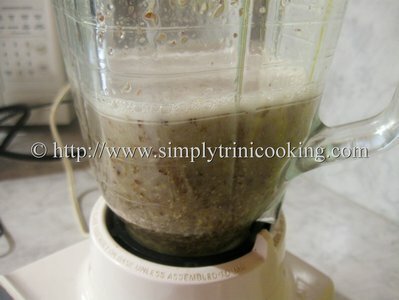 This is the ratio I used when I mixed the powdered milk with 2/3 cup water. Add the spice to the water. 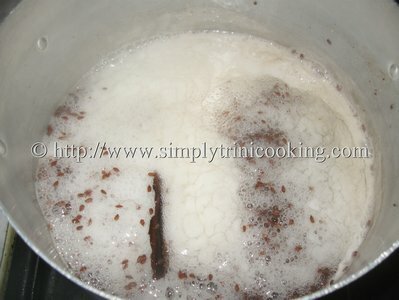 Add the linseed and boil on a low flame for 45 minutes stirring occasionally to prevent sticking. 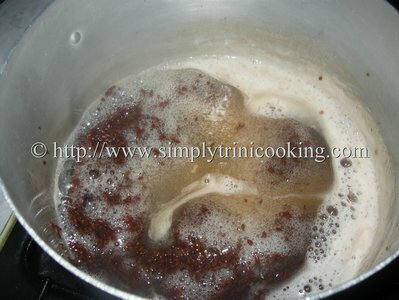 Note: To test dip a spoon into the pot and do the drip test. The seeds release a mucilage that gets thick and gooey. 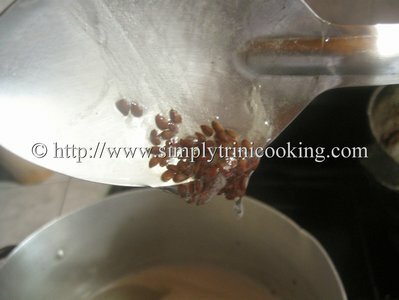 When the linseed is ready remove the spice and allow to cool. 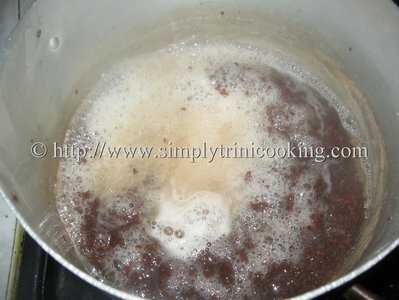 Blend 2/3 cup of the linseed “base” in 1 cup of water. 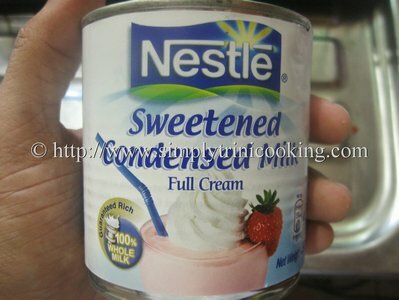 Then add the condensed milk and rest of ingredients. Blend until smooth. Refrigerate or serve with ice. So, with all those benefits I hope you all add this to your daily rotation of things to make…..Coming up next ..let’s spice things up a bit lol!! 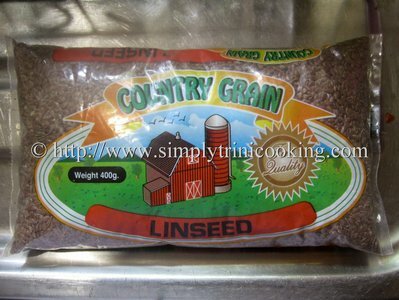 Don’t forget to leave your comment about linseed punch in the comment box below. 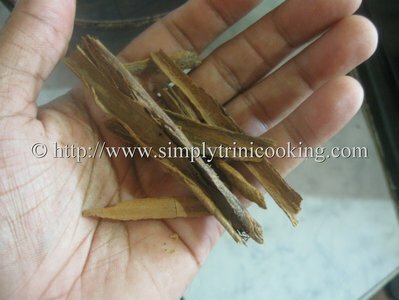 Is that spice cinnamon or mauby bark? I didn’t know u could blend the seeds in the drink. Got to try it. Thanks. Just made this for the first time; enjoyed it and really easy to make. Well, one less customer by the punch man and I’m going to have a second glass! Lol! Thanks!